In any small business hiring can be a challenge. With limited resources and lack of sufficiently trained and certified HR staff, hiring even a single new employee can utilize tremendous resources and time. But what if you need to hire a lot of people and fast? If ever you are a growing small business who needs to hire additional staff to meet production or other business needs, consider yourself both lucky and cursed. Hiring an additional 10, 20, or 50 people is no small task. If you are one of those lucky businesses who needs additional people fast, look through the following list to get tips on how to make that process easier. As with any hiring process, a solid job description for each position is a necessity. This process can be much easier if you are hiring many people for the same job description, such as customer service reps or assemblers. With the finished description, you are ready to give potential candidates a clear picture of the job, and be ready to ask questions in an interview. When you need a lot of new hires, you need to get the word out. In the current US economy, it is a hiring market with so many people unemployed. But those workers need to know about your job opportunities. Post it – Use popular job postings like your local newspaper classifieds or industry magazines. Online job postings like Craigslist, Monster, and other local job sites are recommended as well. Inside referrals – Also, as part of your recruiting, don’t overlook your own current staff. Tell everyone to get the word out to friends, family, and other acquaintances. Inside referrals can account for most of the potentially qualified candidates. Tell your network – Don’t forget to tell your networking contacts that you are hiring. Tell them that you are hiring. They may have people they can send your way. Hold a Job Fair – If you have the time and resources, consider holding a job fair event. Send press releases. Take out newspaper ads. This can be a great way to acquire hundreds of resumes from qualified candidates all at once. When the cover letters and resumes start pouring in, you need to get them sorted quickly and effortlessly to avoid wasting too much time. When hiring a large amount of people, you can’t afford to spend 10-15 minutes on each individual resume. First, scan the cover letter. What? No cover letter? Automatic “No” pile. The cover letter will reveal whether the candidate did any research about the job and/or your company. It will also reveal writing skills and a desire to match their skills to the job opportunity. You may want to sort these into three piles: 1 – is the automatic “no” pile. 2 – are those who are “possible” and may be worthy of a second look. And 3 – is the “absolutely” pile for those you have to see. If you are hiring a larger number of people, say 20 or more, avoid the temptation to get them all into place at once. It is best to stagger their orientation and training into groups. Consider hiring a group of no more than 10 per week. That way, you have an easier time getting a smaller number of people processed on payroll, orientate them to the company, and start them on a training cycle. As with most small businesses, you may have 1 or 2 HR employees. Or even none. But likely your HR staff is not certified with the “Professional in Human Resources” (PHR) designation. To make your mass hiring process easier, consider hiring a PHR professional as a consultant on a project bases who specializes in staffing management. This person can more easily handle all aspects of the recruiting, interviewing, and job offer process. There’s no better time to hire new personnel. 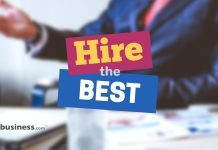 If you are expanding and need new people fast, take heed of these tips and do your best to hire the best people in the smartest way. Should You Outsource Small Business Bookkeeping and Payroll? This post may contain affiliate links to help us pay for running the website. See our affiliate disclosure for details. Thanks! Download our free marketing plan example to create a detailed plan for your business. Includes sample text, charts and tables.